Released on 18 November 1998, and re-released on 14 June 2004, both exclusively in Japan. Disc One length 56:47, Disc Two length 65:07 (1998 issue). 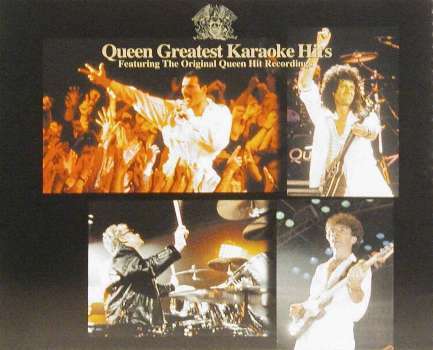 This release and it's accompanying video and DVD feature karaoke versions of many of the tracks from 'Greatest Hits' and 'Greatest Hits II', with the addition of several others. The CD is based on the DVD so as a result it contains karaoke versions of the promo videos, rather than album versions, and some of the tracks also fade in later or fade out earlier to remove lengthy intros or outros. Most of the tracks on this release are exclusive to the album, video and DVD. Full details of all karaoke tracks are available on the Instrumental Versions page.